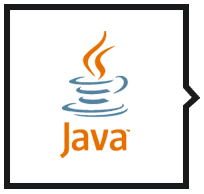 Java is object oriented cross platform programming language intended to manage software complexity as new way. Custom Software Lab is a JAVA application development company that specializes in Java web development, Java software development and mobile Java application solutions. Our experienced Java architects and developers combine form and function to deliver exceptional results on every web and desktop based project. Java application development is one of our development teams core competences. We have successfully delivered Java-based software solutions for businesses of various sizes, including Fortune 500 companies. Our Java developers have helped deliver software solutions for a wide range of industries, inclusive of healthcare e-commerce, automotive, telecommunications, finance, entertainment, manufacturing and software product development.